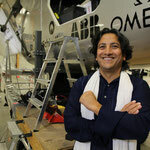 Using Sanjeev’s unique CNS series, a program based on Antastha Yoga, the pilots have been successfully able to adapt better to the lack of oxygen, and keep their concentration and emotional states stable in the extreme conditions. According to Sanjeev, “For a project like SolarImpulse, we are able to take yoga to the next level, whereby both pilots face extremes in temperatures and in altitude. Although they are assisted by the best technology, when it comes to human body and mind and awareness, yoga is so far the best known and proven “technology” there is”. With Sanjeev’s guidance and their devoted support team of 60 members, Solar Impulse has brought together all the tools to engineer one of the greatest achievements in aeronautics. 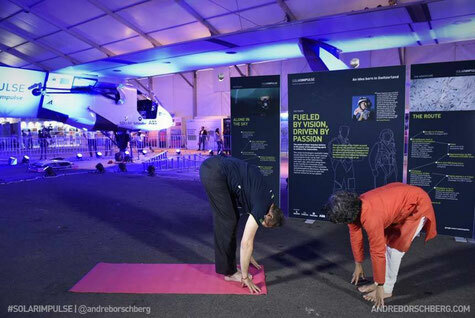 Sanjeev Bhanot and Andre Borschberg, the co-founder and CEO of Solar Impulse and the pilot of the Solar Impulse 2 plane on a Restorative Session of Antastha Yoga in the hangar at Sardar Vallabhbhai Patel International Air Port in Ahmedabad, March 2015. 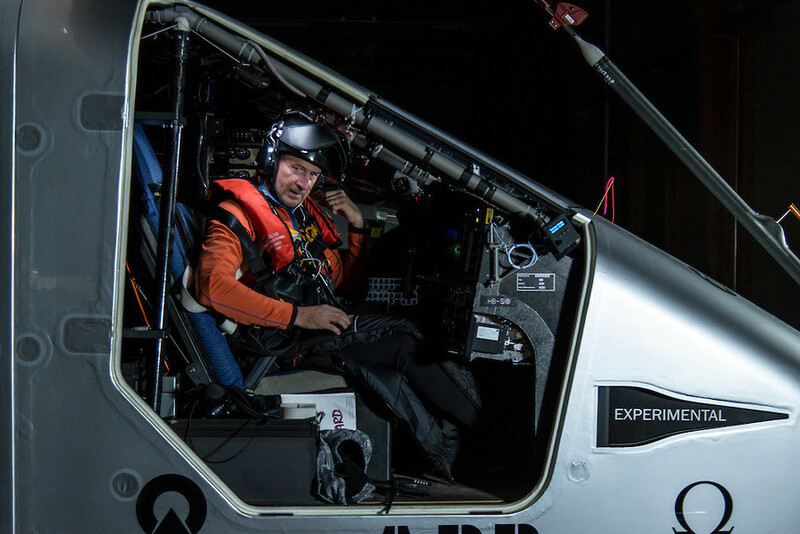 The Solar Impulse technical challenge is already massive by definition. 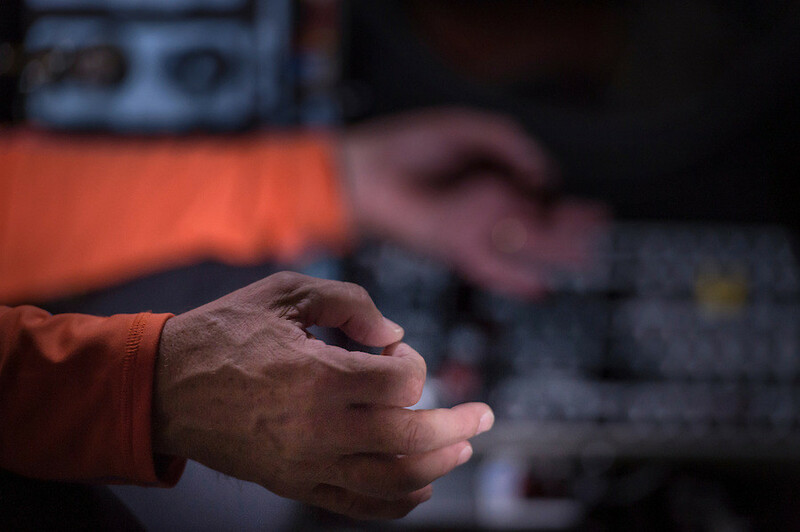 Not only as an experimental machine with highest technology available at the present, but also as the human challenge that it also represents: traveling in an unpressurised cabin at such an altitude is similar to climbing Mount Everest back and forth everyday. 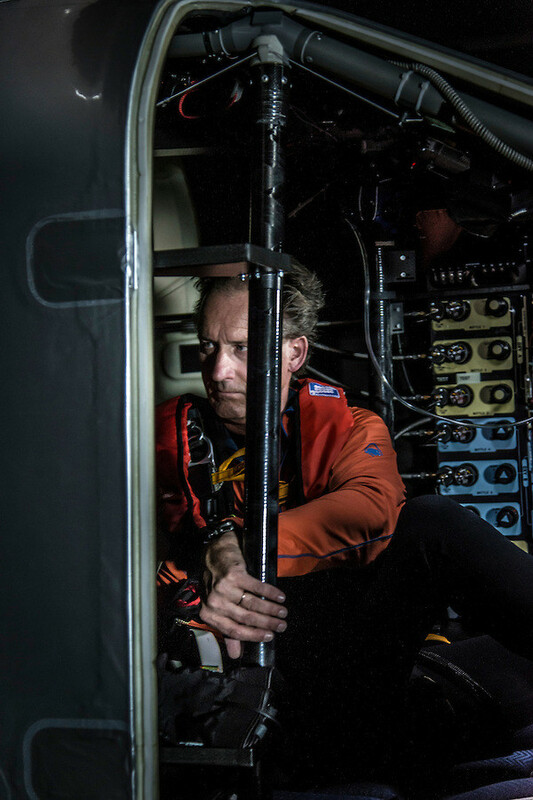 Body and mind are stretched to their utmost stress levels, thus requiring from the pilots absolute sharpness and alertness, which are not only crucial to the success of the challenge but are also vital to their survival. 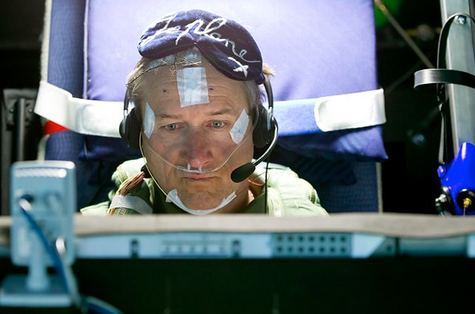 The pilots are using Antastha Yogas „CNS series“, specially designed to balance the central nervous system, along with a special set of classical, static yoga postures, breathing techniques, and meditation. 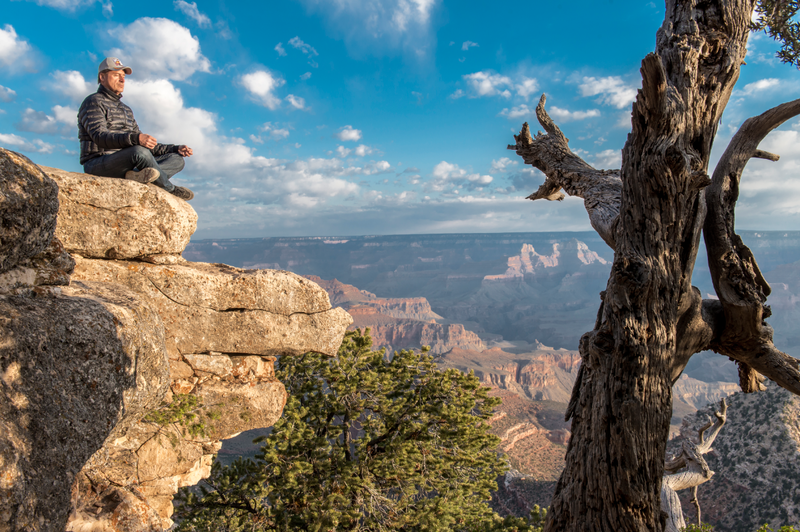 Meditation supports the vital upkeep of his concentration and reduces his need for sleep. Helping the body eliminating the extra nitrogen built-up in the body due to lack of movement. Recovering muscle strength through the combination of massages and yoga. 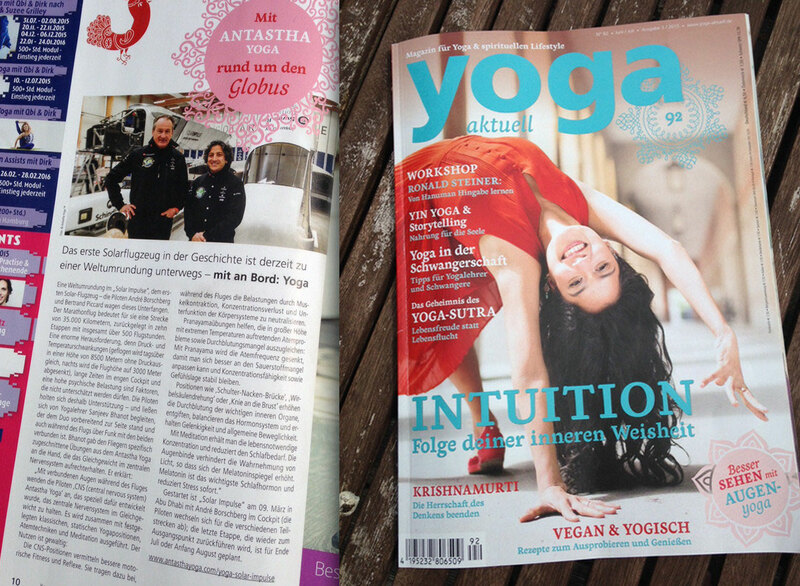 Complementing with Yogamalish, which influences the lympathic system removing tiredness from the body. Antastha Yoga tools and techniques were gathered over the last decades, combining ancient wisdom of Yoga for health improvement with modern psychology and scientific knowledge to create an immediate support. Postures like „shoulder bridge“, „spinal twist“ or „knees to chest“ increase the blood circulation in his vital organs, detox them, keep his endocrine system in shape and maintain his joint movements and general flexibility. "Place in the Sun" Pilot powered by yoga flies plane energised by the Sun into India today. 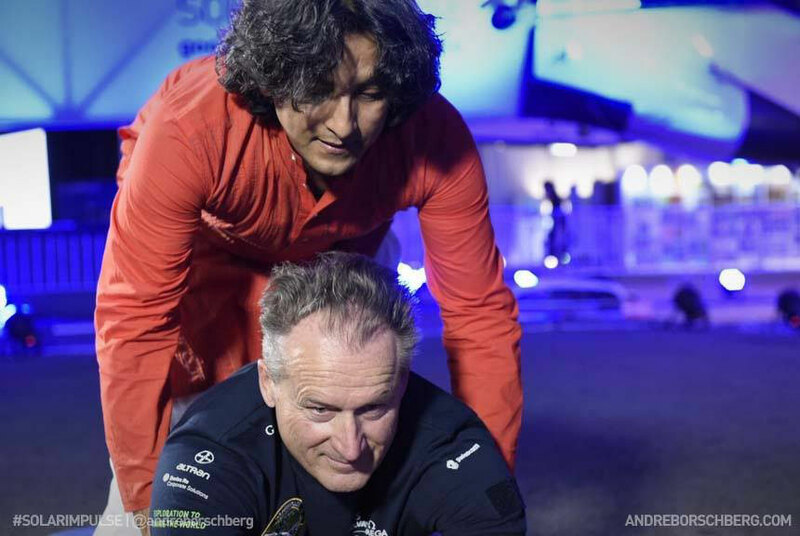 "Yoga helps pilots prepare for world tour"
"Yoga to energise pilots during solar-powered flight"
Sanjeev is now travelling with Solar Impulse Team to support the pilots for the first Round-the-world Solar flight of Solar Impulse 2 flight. 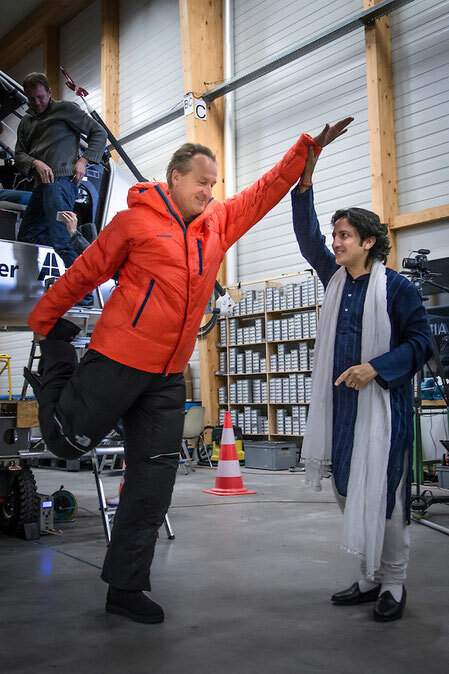 He will continue to other key stops on the 5 month journey helping pilots and the team through yoga for the ground-breaking success of Solar impulse. André Borschberg is training with Sanjeev Bhanot in Antastha Yoga's CNS series, specially designed to balance the central nervous system. 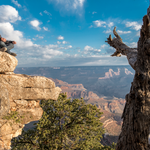 Including a special set of classical, static yoga postures, breathing techniques, and meditation practices much of it done blindfolded. It helps to neutralise the challenges during the flight that come with very limited space for up to 5 days which include muscule artrophy, loss of concentration and underfunctioning of all the body systems. 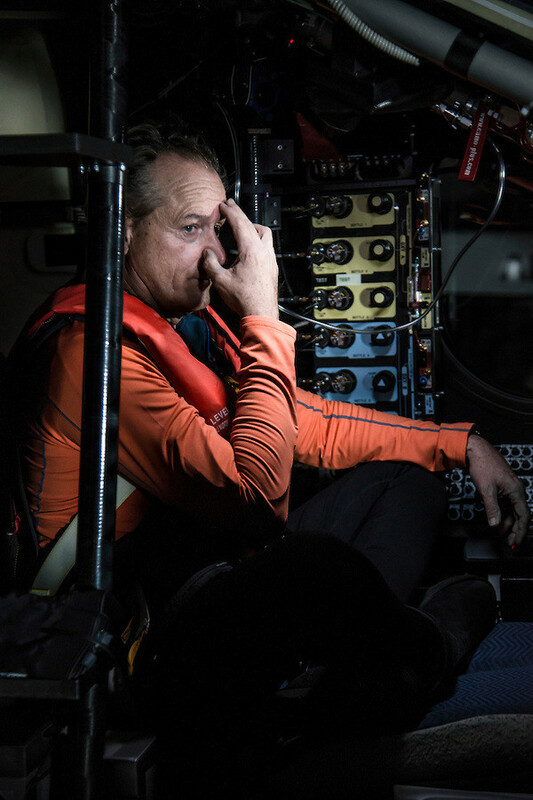 The breathing techniques, called pranayama help him dealing with the respiratory challenges due to the extremes of temperature and altitude: they are designed to reduce Andre's breathing frequencies to adapt better to the lack of oxygen and keep his concentration and his emotional state stable. Postures like shoulderbridge, spinal twist or knees to chest increase the blood circulation in his vital organs, detox them, keep his endocrine system in shape and maintain his joint movements and general flexibility. The meditation supports the vital strength of his concentration and reduces his need for sleep. The blindfold - through the lack of light hitting the eye - creates an increase of melotonin, the main sleep hormone, which brings an immediate release of stress. By working with the principle of highest efficiency for the least effort, Antastha Yoga gives Andre the maximum therapeutical effect of yoga - even 8,000 meters above the ground! ▪ 500 flying hours approx. Mit der Sonne um die Welt. Was hat ein Projekt, das 70 Millionen Euro kostet mit dem Sonnengruß gemeinsam? 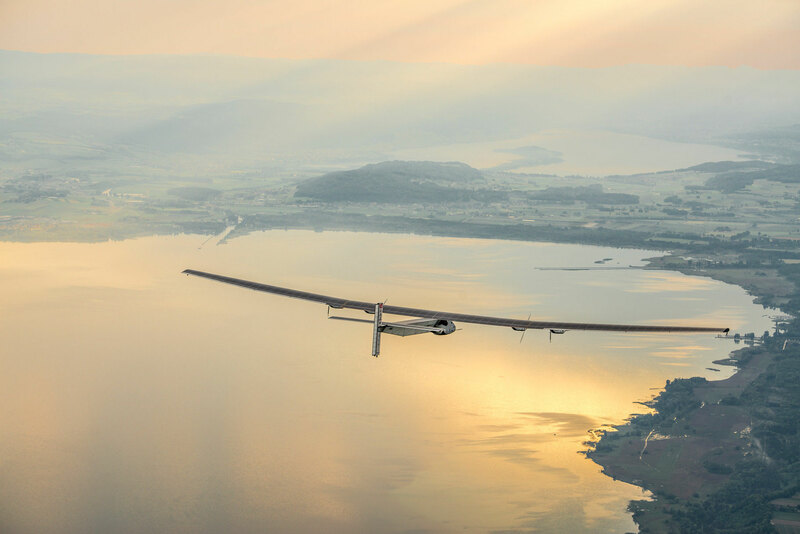 Die Energie der Sonne ist für das Projekt "SOLARIMPULSE" wesentlich! Es ist der Versuch mit einem komplett solarbetriebene Flugzeug um die Welt zu fliegen! 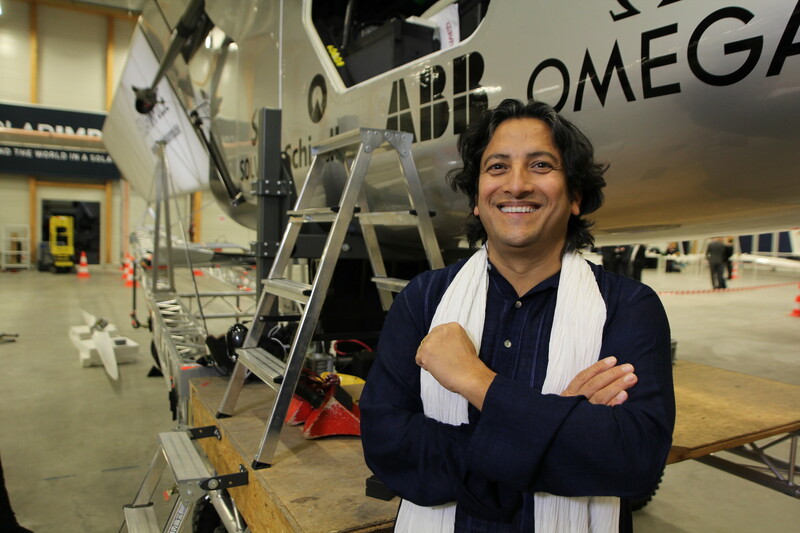 ARD Reportage zu SOLARIMPULSE mit Sanjeev Bhanot wurde am 27.09.2014 um 16:30 Uhr ausgestrahlt. In Rücksprache mit den besten Ingenieuren, Psychologen, medizinischen und wissenschaftlichen Experten weltweit, um die bestmöglichen Bedingungen für den Start im Jahr 2015 des weltweiten Flug des ersten komplett solarbetriebene Flugzeugs, Solar Impulse, zu gewährleisten, vertraute Pilot André Borschberg das Training Sanjeev Bhanot an. Der Yogameister und Coach trainierte und unterstützte Boschberg und seinen Partner Bertrand Piccard bei der Orientierung und Vorbereitung für dieses aussergewöhnliche Abenteuer! 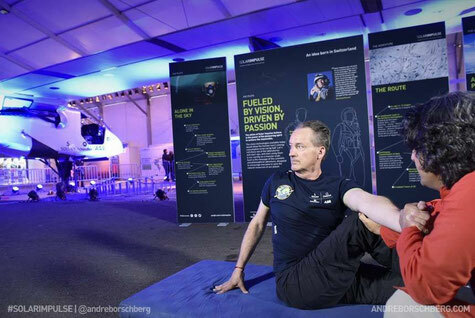 "Als ich von dem Projekt SOLARIMPULSE erfuhr, fühlte ich mich an die wunderschöne Synchronizität der Dinge erinnert: SOLARIMPULSE und der Yoga-Sonnengruß nutzen die gleiche Energiequelle, die Sonne! 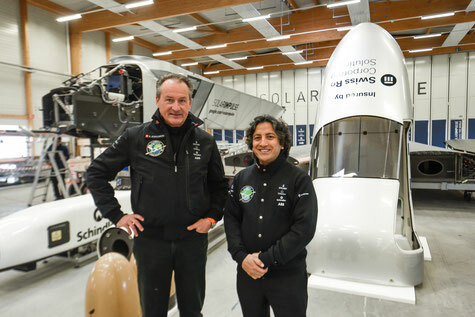 Die Vorbereitung der Crew ist eine spannende Herausforderung", so Sanjeev Bhanot. «Mit jedem ihrer "ersten Male" haben die Forscher des letzten Jahr- hunderts regelmäßig die Grenzen des Möglichen verschoben. 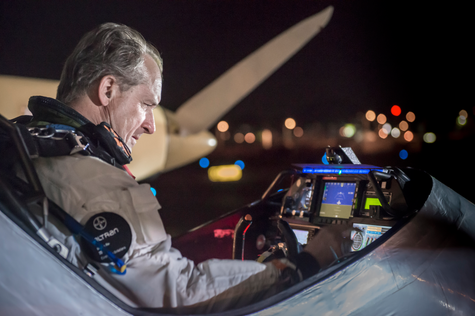 Auch heute dürfen die Anreize, neue Entdeckungen zu machen, nicht nachlassen, um die Lebensqualität auf unserem Planeten weiter zu verbessern.» ~ Bertrand Piccard.